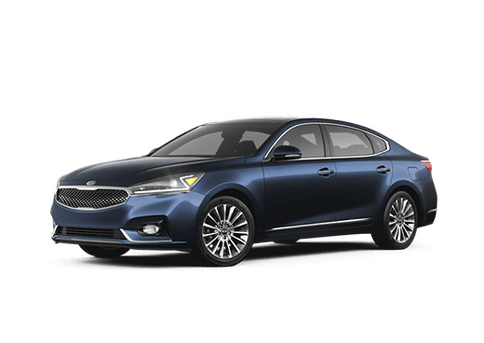 Families on the go require a vehicle that will check all the boxes, from a fuel-efficient performance and a strong towing capacity to an affordable price tag and cargo space. Car shoppers in search of a new family hauler will find few automotive segments better suited for the task than the midsize SUV class. Get to know the Kia Sorento and its capabilities as we put it against a class leader in this 2017 Kia Sorento vs 2017 GMC Acadia comparison at Moritz Kia. After a complete redesign in the recent past, the 2017 Kia Sorento builds on its success with the addition of Apple CarPlay and Android Auto that go hand in hand with Kia UVO eServices features. Next-generation safety systems include an available Rear Parking Assist System, Surround View Monitor, Blind-Spot Detection System, Rear Cross Traffic Alert, Advanced Smart Cruise Control, Lane Departure Warning System, Forward Collision Warning System and Autonomous Emergency Braking that contribute to an IIHS Top Safety Pick award. Available in five- and seven-passenger configurations with three engine options to choose from, the Kia Sorento can be tailored to your specifications. Versatility is a key asset of the Kia Sorento and is a highlight of this 2017 Kia Sorento vs 2017 GMC Acadia overview. Available in seven configurations and trim levels that incorporate three powertrains, the Kia Sorento checks all the boxes and starts at an affordable price when placed up against key competitors. With a base MSRP of just $25,400, the Kia Sorento undercuts the competition and delivers exceptional performance specs. Car shoppers who opt for the 2017 GMC Acadia will find themselves paying much more to go along with similar performance and capabilities. Under the hood, the Kia Sorento can be equipped with your choice between three power platforms that deliver exciting power and frugal fuel-economy specs. Base Kia Sorento editions feature a 185-horsepower 2.4-liter direct-injection inline-4 engine paired with a smooth six-speed automatic transmission that achieves 21 mpg in the city and 28 mpg on the highway. Stock GMC Acadia models counter with a 193-horsepower 2.5-liter inline-4 engine that is mated to a six-speed automatic and delivers lackluster fuel economy that stands at 21 mpg in the city and 26 mpg on the highway. Looking for a way to amp up power and performance? Kia Sorento EX models deliver more power and thrills with a 2.0-liter turbocharged inline-4 engine that shells out a fun-to-drive 240 horsepower. With a six-speed automatic transmission, the potent turbocharged engine manufactures 20 mpg in the city and 27 mpg on the highway. Take a step up from the turbocharged Sorento EX and add a 290-horsepower 3.3-liter V-6 power core to your arsenal that makes 18 mpg in the city and 25 mpg on the highway. GMC Acadia models employ a similar 310-horsepower 3.6-liter V-6 engine. A highlight of the midsize SUV segment is an increased level of capability that you may not get with a compact crossover or family sedan. When you are faced with inclement weather or poor road conditions, the 2017 Kia Sorento’s available Dynamax All-Wheel Drive system with a locking center differential and Torque Vectoring Cornering Control will provide an instant upgrade in performance. An impressive 5,000-pound towing capacity is another advantage that the Kia Sorento possesses over its GMC competition. Add an impressive 73.5 cubic feet of cargo space to the equation and the 2017 Kia Sorento is tailor-made for family adventures.